Ahead of the NFL’s owners meetings this upcoming week in Arizona, Robert Kraft has broken his silence. 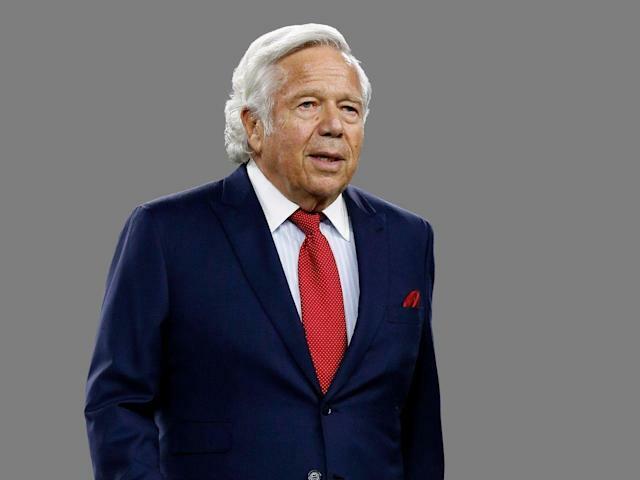 Kraft, the 77-year-old owner of the New England Patriots, is facing prostitution charges in a wide-ranging case allegedly involving human trafficking. In a statement released Saturday, Kraft hoped to “correct some misinformation” while offering an apology. “In deference to the judicial process, I have remained silent these past several weeks. To correct some of the misinformation surrounding this matter, my attorney made his first public comments on Friday night. I would like to use this opportunity to say something that I have wanted to say for four weeks,” Kraft said. On Friday, Kraft’s attorney, William Burck, said the way evidence was obtained in the case needs to be scrutinized. The 77-year-old Kraft was charged with two misdemeanor soliciting prostitution charges linked to his alleged January visits to the Orchids of Asia Day Spa in Jupiter, Florida. The spa was under surveillance as part of a prostitution sting. “Once a case is over, it’s not an ongoing investigation. There has to be a specific reason not to release a public record. And the fact that there is sexual activity is not an exemption,” Snyder told CNBC. Prosecutors have reportedly offered Kraft a plea deal in the case.